A critical issue in Israeli-Palestinian negotiations is the future of the Jordan Valley. Watch this video to learn why Israel cannot withdraw from the area and rely on international forces. We don't want to see rockets and missiles streaming into a Palestinian state and placed on the hills above Tel Aviv and the hills encircling Jerusalem. If Israel does not maintain a credible military and security presence in the Jordan Valley for the foreseeable future, this is exactly what could happen again." Should Israel withdraw its military from the Jordan Valley and rely on international forces for its security? Some politicians and diplomats around the world say yes. But 70 percent of Israelis say no. Who's right? Are international forces reliable? Let’s take a look at some examples. After the Suez Crisis in 1956, the United Nations Emergency Force deployed in the Sinai Peninsula in order to serve as a buffer between Israel and Egypt. But in 1967, Egyptian President Gamal Abdel Nasser demanded that the U.N. forces leave — which they did immediately. Nasser then threatened Israel with annihilation. The Six-Day War followed soon after. In 1978, terrorist groups in southern Lebanon carried out multiple attacks on Israel. In response, the IDF entered Lebanon in order to destroy the terrorists’ strongholds. The United Nations intervened by establishing the United Nations Interim Force In Lebanon, or UNIFIL. Its mission was to ensure Israeli withdrawal and to help the Lebanese government control southern Lebanon. The IDF withdrew, but UNIFIL failed to stop the terrorist attacks against Israel. This was the reality that led to the First Lebanon War in 1982. Later that year, a multinational Western force consisting of American, British, French, and Italian troops came to Beirut. In 1983, this force was targeted in two massive Hizbullah bombings on its barracks. 241 American and 58 French troops were killed. The multinational forces all went home within six months. Fast forward to 2006 when U.N. Security Council Resolution 1701 ended the 34-day Israel-Hizbullah war. The resolution called for the disarmament of Hizbullah. Since then, UNIFIL in Lebanon has watched Hizbullah rearm. The terrorist army now has more rockets than it did before the start of the war in 2006. In 2005, European monitors were stationed in Rafah on the Gaza-Egypt border in order to prevent weapons smuggling. But when fighting between Hamas and Fatah intensified in 2006, the EU servicemen fled their positions —— and ran to Israel for safety. As a result, weapons flowed into Gaza, and Israeli civilians were subjected to constant rocket fire in the years that followed. Since the aftermath of the Yom Kippur War, the U.N. Disengagement Observer Force, or UNDOF, has served in the Golan Heights in order to separate the Israeli and Syrian armies and to maintain the ceasefire between them. But with the region becoming increasingly unsafe as a result of the Syrian civil war, many countries have removed their contingents from UNDOF and sent their soldiers home. Since 1967, the Jordan Valley has served as a formidable geographic barrier protecting Israel. It has been the front line of its defense in the east. The Israeli army has been deployed along its steep slopes, allowing it to thwart terrorist infiltration and deter potential attacks from hostile armies. This critical zone cannot be turned over to international forces that have consistently proven to be ineffective and unreliable. 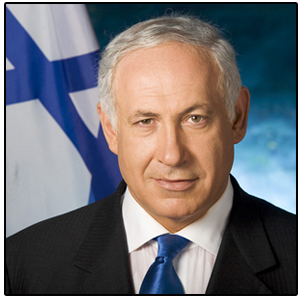 Israel's national ethos is one of self-reliance. Israel has never requested that its allies shed their soldiers' blood for its defense. Israel must defend itself, by itself.